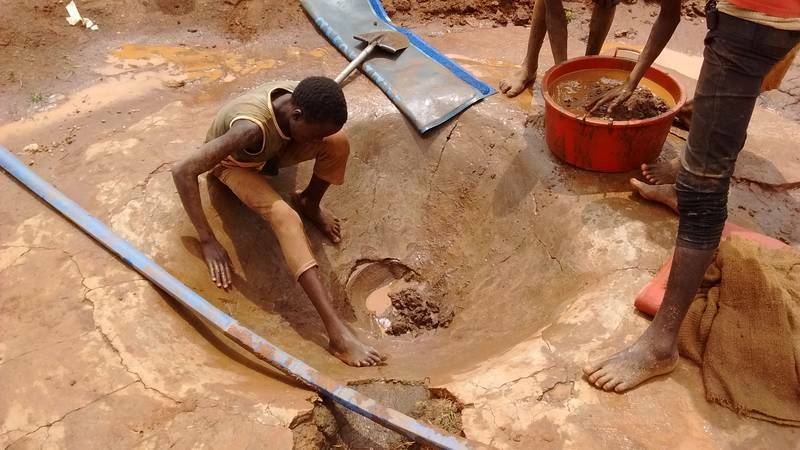 This child on the mining site in Uganda is trying to recover all concentrate particles by using plain hands. The task is impossible. The pond itself is broken and gold is simply depositing on its bottom, it is impossible to take smallest gold particles by using simple hands.